Digicel had a network management environment that was distributed across 5 multiple Network Operations Centres (NOCs) (Jamaica, Trinidad, Panama, El-Salvador, and Haiti) to manage 23 countries in 4 different time zones. Part of this transformation project was to re-design the organisation which led to them consolidating five NOCs into one Global NOC (GNOC). The management environment consisted of multiple network monitoring tools and was integrated with five different BMC Remedy systems ranging from v7 to v8. BMC Remedy consolidation was a critical part of the OSS transformation project to dramatically reduce their operating expenses and increase their efficiency, as having multiple NOCs with the existing suite of products were not meeting their goals of cost efficiency, business agility, and customer experience management. Digicel chose Eirteic to deliver the GNOC project to provide consolidated service and performance management, consistent monitoring and centralised performance visibility across the Digicel Networks leading to the ultimate goal of improving operational efficiency through customer-centric service assurance. Digicel, who had a long track record of providing customers with the best network was excited to have taken things to the next level with Eirteic enabling their GNOC OSS transformation. This project was a multi-country, multi-platform, network transformation which will ultimately improve Customer Service, operating efficiencies and increase shareholder value. The Eirteic solution enabled Digicel to redesign their organisation so that they could achieve their transformation goals of delivering an amazing network experience, increase productivity, decrease costs and enable real-time customer impact visualisation. The completion of the GNOC project with their new customer-centric service assurance process has enabled Digicel to lower their network management costs and introduced a new level of business agility. This also enables Digicel to identify increasing customer demand and deliver new services faster than their competitors. Digicel Group is a leading global communications provider with operations in 32 markets in the Caribbean, Central America, and Asia Pacific. After 13 years of operation, total investment stands at over US$5 billion worldwide. The company is renowned for delivering the best value, best services, and the best network. In 2010, eir merged with Meteor and eMobile, bringing together three separate entities and, with it, each company’s individual technology and network estates. The service management team sought to bring together voice, data, Internet, value add services, IT and support, all under one management platform. 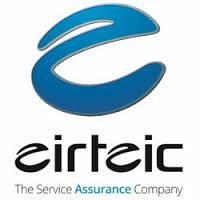 Eir looked to replace point solutions originating from a variety of leading vendors with a unified service management solution from Monolith Software, of which Eirteic is the sole platinum-level reseller in Europe. As a key part of Eir’s Next Generation Service Management Platform (NGSMP), Monolith Software’s solution provides a single dashboard from which all IT and network resources, required for the various services offered by Eir, can be monitored and controlled. This allows eir to manage its infrastructure efficiently by quickly allocating resources according to demand, troubleshooting issues that arise and offering 5 9s reliability. 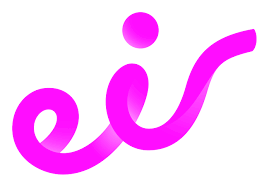 Eir is a fixed, mobile and broadband telecoms company in Ireland. It is the largest telecommunications operator in the Republic (with roughly 2 million customers and 3400 employees ).They also have a division to service the business and corporate telecoms markets in Northern Ireland and Britain. Tele2 concluded that it was necessary to make an OSS transformation to dramatically reduce operating expenses and increase efficiency during growth, speed up time to market for new service offerings, and provide proactive and customer centric service visibility. Eirteic, a Monolith Software partner, analyzed the Tele2 Austria’s business requirements and network management environment. Eirteic recommended a “like for like” replacement of their NetCool and Nagios implementation with a single Monolith Software implementation, In the resulting implementation, Monolith rules files easily replaced the existing Netcool Omnibus event processing that was previously done by multiple Omnibus probes and custom application sockets, including mapping fields to provide the same event workflow. The fully multi-tenant and single database Monolith implementation easily supports Tele2 Austria’s managed service business which has over 10,000 devices across 900 customer user groups. External customers were provided with complete visibility of their own device metrics, and provided with custom monitoring as required, including customized ping polices and threshold monitoring of metrics. Tele2 has operated in Austria since 1999, starting as an alternative fixed-line telephone operator. ADSL internet services were introduced in 2003. One Year later, Tele2 Austria bought UTA Telekom AG, a former competitor, and became the largest provider for alternative telecommunication service in Austria. In addition to fixed-line services, Tele2 Austria is using their infrastructure for carrier services. In July 2017 CK Hutchison bought Tele2 Austria to merge it with its existing mobile business, Three Austria. Since Manx operates a complex and diverse network including wireline telephony services and the latest 4G wireless services, the operations team had a high number of element management systems and disparate views from their existing systems. Manx needed to present statistics on a single platform viewable by all levels of support and management. This solution enabled Manx to improve its mobile-user experience by highlighting the existence of and assisting in investigating the root cause of potential service outages and degradations. Fault and performance data was unified into a single mobile service assurance solution. The solution presented administrators with a simplified, real-time view of service quality indicators. Manx Telecom is the leading communication solutions provider on the Isle of Man. The company offers fixed-line, broadband, mobile and data centre services. Manx has a growing portfolio of innovative global hosting and Smart SIM solutions. Manx has a record of innovation, it was the first European operator to launch a 3G mobile service and the first in the world to launch 3.5G. 4G was launched in 2014, while the company’s high-speed VDSL broadband service is available to over 80% of homes on the island.